WHERE: DOMINICAN REPUBLIC ON THE BORDER OF HAITI. 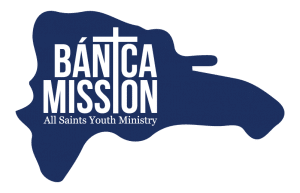 A missionary partnership between the Diocese of Arlington, VA, and the Diocese of San Juan de la Maguana, serving 13,500 poor people in the rural area of the Dominican Republic. WHO: Current high school Seniors (12th Grade). Space is very limited. All applicants will initially be placed on a wait list. An essay questionnaire below must be completed and reviewed before being accepted. Teens outside All Saints parish or non-registered members of All Saints are welcome to apply; however, they will be placed on a wait list and not confirmed until after December 1, 2019. WHAT: 3rd World Service & Week of Spirituality. 10-12 upperclassmen from All Saints will be led by Fr. Noah and consecrated woman Carmen Briceño to the safety of the Diocesan Mission site. From there, each day will include service in the forms of working with children as well as manual labor. Every day will also include retreat activities for faith development. COST: Non-refundable initial deposit of $100 required if application accepted. The cost can be reduced with full participation in all fundraising events. Space is very limited, so apply quickly! QUESTIONS: Contact Rob at 703-393-2141 or rtessier@allsaintsva.org.